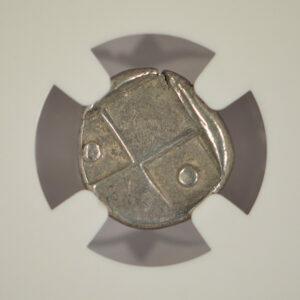 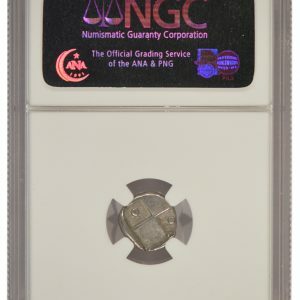 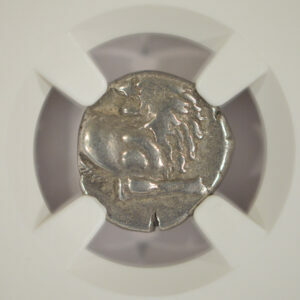 Reverse: Quadripartite incuse square with alternating raised and sunken quarters. Symbols in the two sunken quarters identify the origin of the coins. 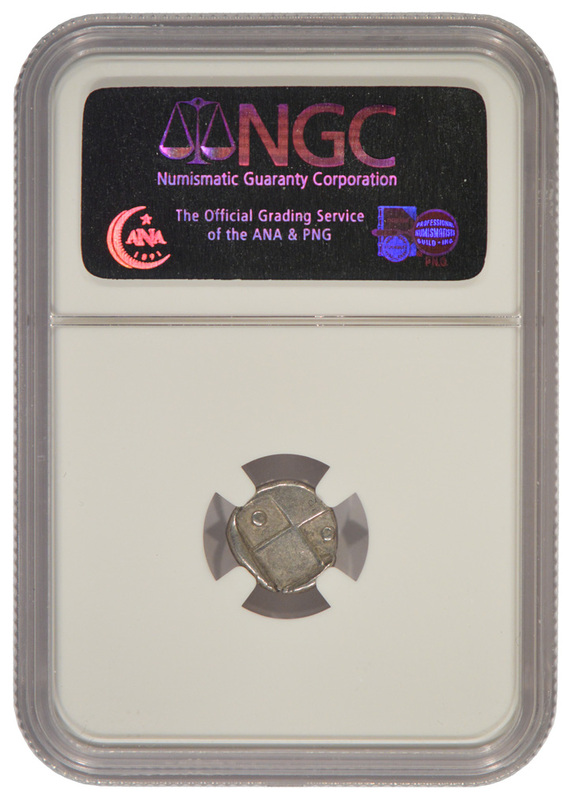 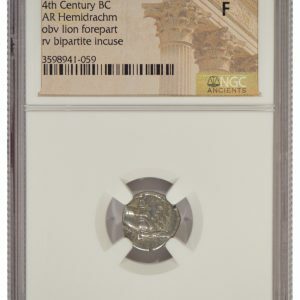 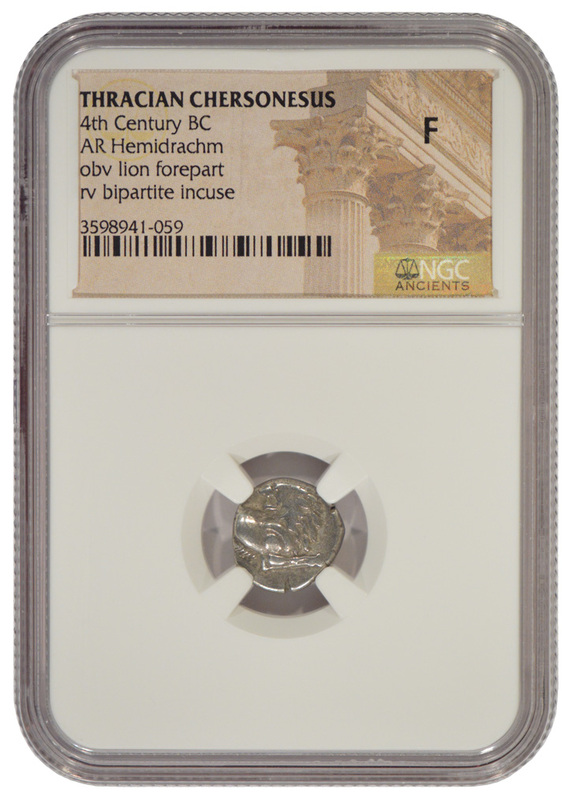 These coins are crudely struck one-at-a-time, with the result that the lion on the obverse is almost always off-center and often only partially on the planchet.